The UV Scud thrives in streams and rivers with slow to moderate currents and dense beds of aquatic vegetation. 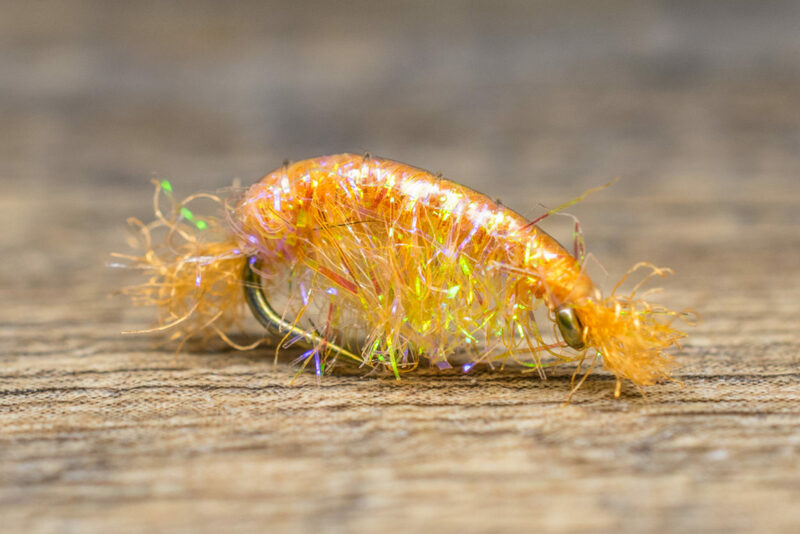 Since they prefer consistent flows and stable water temperatures, they often are most effective in tailwaters. Scuds have a flat, segmented abdomen, 14 pairs of legs and a glossy looking shellback, two pairs of antennae, and a tail. Scuds tend to be most effective at high flows when the naturals get dislodged from the river bottom. The UV Scud is effective year-round, especially on weed-rich tailwaters such as the South Platte, Bighorn, Green, Colorado at Lee’s Ferry. 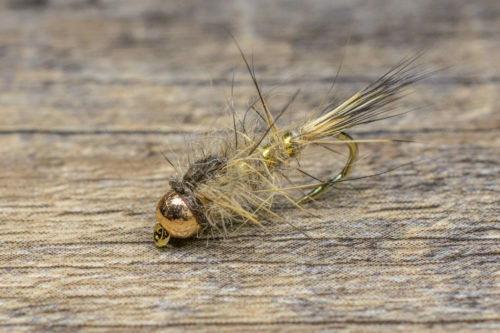 We generally use a scud as an attractor in a two-fly nymphing rig and drop a small mayfly below it. Fishing scuds in transitional zones will lead to success, especially in deeper runs or holes where the trout are used to keying in on scuds. We suggest fishing a 9-foot leader tapered to 4X. The takes on a UV Scud is typically aggressive. 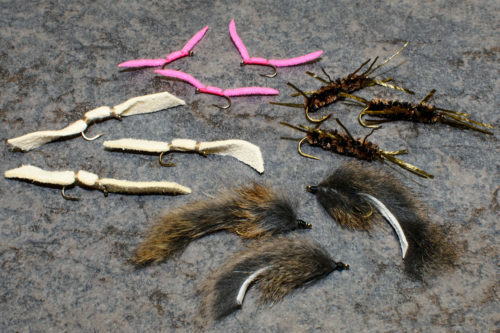 The downstream demand for water or during runoff, will increase flows and will frequently knock scuds loose from the substrate creating easy meals for trout. Scuds are an important part of a trout’s diet during runoff and can also be good egg imitations early in the season.